Montréal adds three Québec commits to their 2019 class. 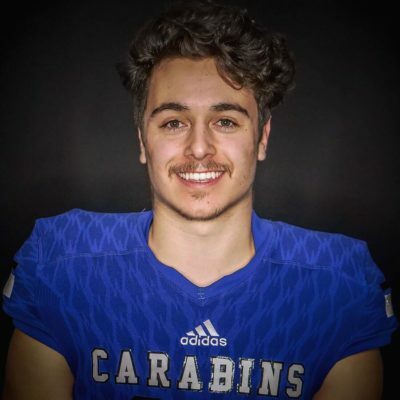 Gabriel Mailhot, a defensive back from Cégep de Lévis-Lauzon, and Shad Michaud, a wide receiver from Cégep régional de Lanaudière, already have a few familiar faces on the University of Montréal Carabins. 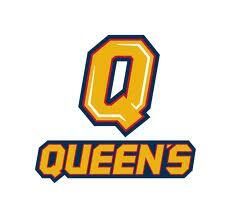 Offensive lineman Gabriel Turcotte-Serrecchia from Campus Notre-Dame-de-Foy will also be joining the Carabins. On top of that Mailhot said he likes the vibe of the city and that he really trusts the coaches. “They have a lot of experience and know what they have to do. They are competitive. Also, the addition of Anthony Calvillo has increased my confidence,” the potential economics or politics student said. Hailing from Trois-Rivières, Québec, Mailhot played with Les Estacades de Trois-Rivières (RSEQ) for five years. There he played as a quarterback. 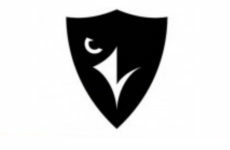 He then spent three seasons with Les Faucons du Cégep de Lévis-Lauzon (RSEQ Division 1) where he started as a defensive back. The 5’10, 180lbs cornerback has won several awards in his career. He was a team MVP and offensive player of the year in high school. With Les Faucons he was named as the “most improved player” and “the most useful rookie.” He was also recognized twice as the best special teams player. He currently holds a career record for the highest number of yards gained on kickoff returns. Un deuxième membre de la famille Mailhot rejoint les #Carabins. Throughout his career there was one U Sports team that always caught Shad Michaud’s eye. “It’s a great school and I always wanted to play with the Carabins. I really loved the coaching and I have a few friends that are already apart of this team,” he said. For three years, Michaud, who is 6’4, 210lbs, played with Les Sharks de Ste-Julienne (RSEQ). 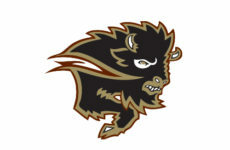 He spent another three with Les Triades de Lanaudière (RSEQ Division 3). He is a two-time offensive MVP in high school and a two-time all-star in cégep. He was also Les Triades’ offensive MVP for 2018. The product of St-Calixte, Québec, will be taking physical health and education. 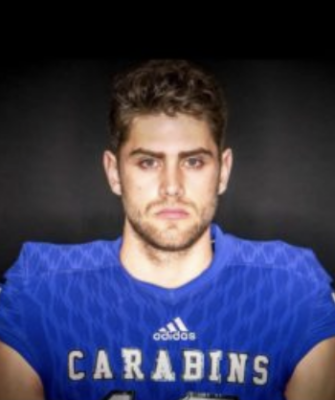 Les #Carabins ajoutent un receveur ⭐️ à leur cohorte de recrues pour 2019. Gabriel Turcotte-Serrecchia is from Sainte-Catherine, Québec, which is an off-island suburb southwest of Montréal. Standing at 6’4, 235lbs, he has played out his cégep career with Le Notre-Dame du CNDF (RSEQ Division 1). Le gérant de l’équipement craint déjà le moment où il devra imprimer son nom de famille au dos de son chandail.